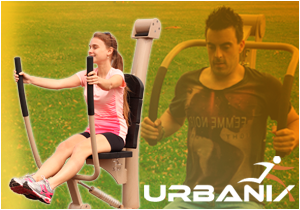 The Urbanix fitness range consists of real gym equipment that allows users to exercise all of the main core muscle groups as well as undertaking cardio-vascular workouts. The patented hydraulic system can be set in 8 different positions, enabling people of all abilities to exercise at a pace suitable for them and to progress the difficulty as fitness improves. The comfortable Polysafe seats and handles are user friendly, and designed to stand up to intensive use in an outdoor environment.